Not all expenses are created equal. Some things we buy and that’s the end of it. Like a cup of coffee. It’s just a coffee. Yet, other expenses are the beginning of a much larger more expensive pursuit. Those expenses are gateway expense. 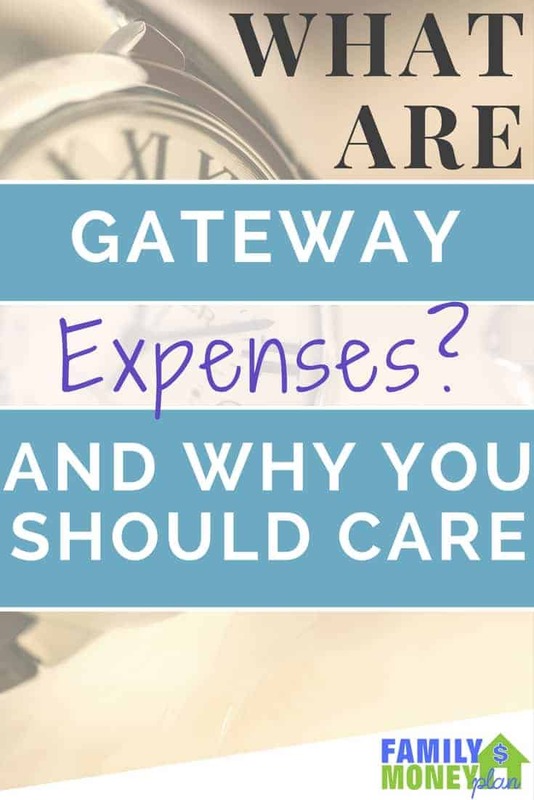 Gateway Expense |ˈɡātˌwā ikˈspens| Noun – definition: an expense or activity that leads to larger and more frequent expenses. Take running for example. Running has become a gateway expense for me. What started with me running with an old pair of sneakers, has turned into a much more expensive hobby than I ever would have guessed when I started out. Since starting to run, I found my shins started to hurt, so I bought some “Real Running Shoes” and all my shin pain was gone. , shirts, and shorts (can’t have chaffing). Then it got cold and I bought more seasonable wear for my colder runs. All in all, this idea of running has cost me well north of $1000 maybe even $1500. It’s been over several years, but it still happened. Here’s the point, running became my gateway expense to a lot more purchases. I’m not regretting it, but it does make me aware of this before I go diving into other types of endeavours. What is a gateway expense? A gateway expense, is any type of purchase that will lead you down the trail (I’m just gonna keep going with this running analogy…) to bigger and more expensive purchases. Or worse, recurring expenses that you wouldn’t have had if you had not bought the first expense. As it was in my case with the first pair of running shoes. So how can we tell if something is a gateway expense or a one-time expense? Like all magical answers: it depends. This is the biggest one of all. , new everything. Usually we upgrade to bigger homes. Speaking from someone who has done this. More space only means more space to fill. Which means more stuff. So you end up spending more. When you go from a two-bedroom home, to a three-bedroom house you have an extra bedroom (and likely another bathroom) to fill up. This leads to what is commonly known in many urban centres as an Ikea trip. This trip is designed to furnish the extra room as quickly as possible. , and the idea of seeing that open room only makes you want to fill it as quickly as possible. 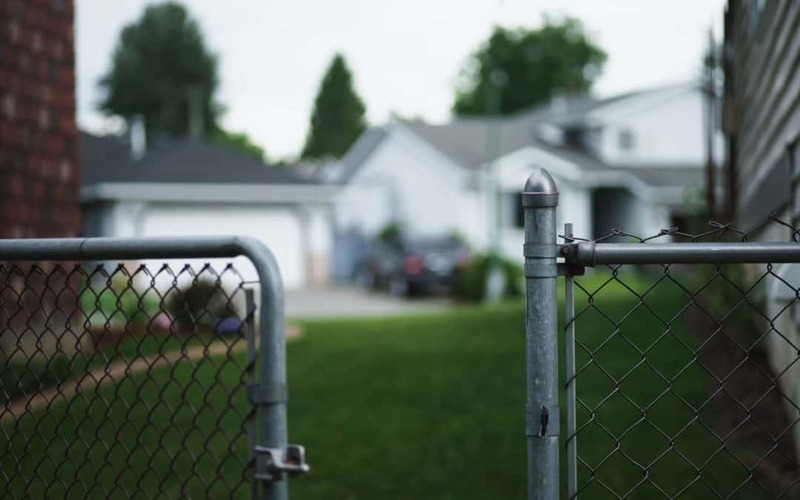 A new home is one of the biggest gateway expenses there is. Like I mentioned with running, an activity that should only need shoes that somehow ballooned into training for a marathon I will never run. Sports and hobbies are often huge gateway expenses. since I was 12 ( my driver looks like everyone else 5 iron). Every year I entertain the idea, then I realize the $500 clubs are just the beginning. and a lot of other recreational activities have a tendency to have us buy more, and move up the “bigger, better and more expensive” ladder. Hey if you love it… that’s awesome! Know that when you start something, the first cost isn’t the last cost. If you ever have a conversation that starts with: “We should do something to the yard…” run away! You get into renovation mode and then it becomes a bouncing ball of expenses. I have had the “joy” of doing this with several home projects. Somehow changing the carpet in basement turns into taking out walls, adding a bathroom and a complete renovation of half the house. This is the most dangerous type of gateway expense, because the costs involved are usually a lot higher. , pet sitters, vet bills (we once had a $500 dental bill) and chewed up clothing (sometimes yours and theirs… but mostly yours for some reason). Having a pet is great, but realize that the humane society and the low initial price doesn’t mean that you are done. There are more expenses to come, and they will keep coming for years. Most of us love our pets and it’s worth it, but you should know that there are a lot more costs to come. Of course you can always make money with pets, but that’s a different story all together. Try your best to think it through before you buy the first purchase. I’m not saying any of these expenses are bad, in fact I would do a lot of these expenses al over again if I had to (except the $500 cat dental bill). However you should have an idea of what you are getting into. What will the new dog cost in vet bills, food and time? Are you prepared to spend that much? , then new sheets and accents to match the new wall colour. If you get the new house are you able to say “Let’s wait” when it comes to new furniture and renovations? Prod your brain into thinking about other costs down the road. You may be surprised at the extra costs and you will have to pay. 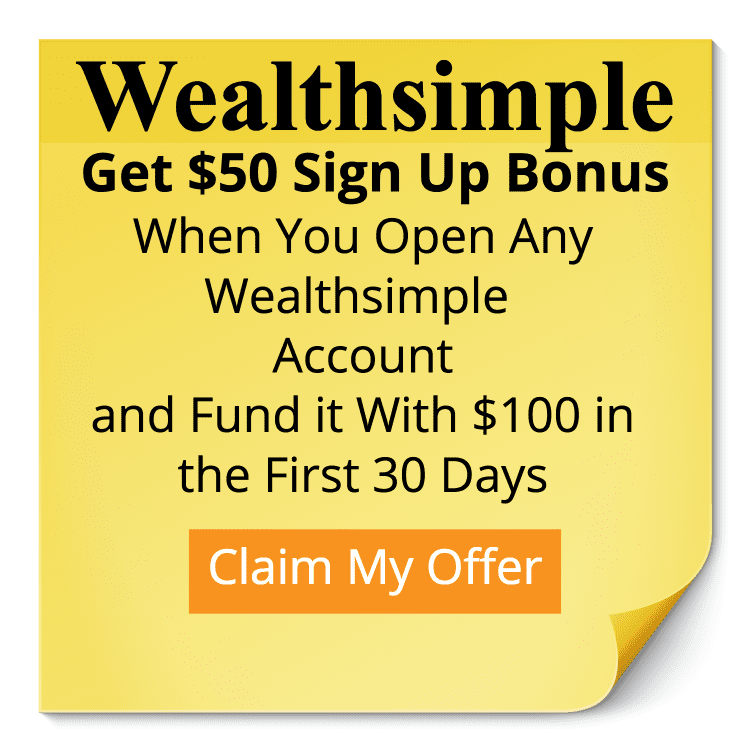 Do you have gateway expense you would like to warn us about? Leave it in the comments below. Oh man, I just started running too and had the shin pain/new shoes ordeal too! I’m also learning how to play the guitar, AND I have pets. The way I keep costs from spiraling out of control (like they did with my infamous Knitting Addiction of 2006-2012) is to keep a strict budget. Even though my shins hurt, I limited my running until I had enough money in our Clothing line item of our budget. We save $200 per month for pet expenses (food/toys/training/vet bills). I also have a “fun money” line item where I pay for my guitar lessons. Sadly, they’re so expensive it eats up most of my fun money meaning I can’t buy all the books and accessories for my guitar, but I’m OK with that as long as I get to keep up with guitar lessons. Hey Lindsay! Get good shoes! I swallowed hard when I bought my first pair, but it’s been worth it. Blogging has been a gateway for me. I guess this could fall under the hobby category. It started with a domain name, then an email service provider, then themes, then hosting, then conferences and travel and hotels. Next will be courses and VAs …. yikes! I’d never thought of expenses in these terms before but I really like the analogy! Blogging is huge one for me too. I was going to put it in here but then it became a post about blogging haha. I don’t mind spending the money on it, but it’s definitely grown from the # bucks a month hosting I started with. I do run though and I was surprised at how much I spent on ‘accessories’ when I was marathon training. Hey Stefanie! I’ve never done a marathon (way to go btw! ), but I’m amazed at how much my hobbies have cost me over the years. Running especially. All of the “stuff” I’ve bought has been worth it but I was shocked to find out that running was more than just a pair of shoes. It blows my mind! Those gateway expenses will get you for sure! For us, the biggest one is probably a boat (I know, what PF blogger has a boat, yikes…but it’s totally 100% my husband!). The cash price of the boat itself wasn’t that expensive, but I don’t doubt that we’ll double the cost of it in everything else we now “need”. Hey Kathryn! Oh yeah boats are a huge gateway expense. Between the docking fees and all the extra equipment / fun toys you can get, I could see spending getting out of the way quickly with a boat for sure! Gateway expense…any piece of electronics! There’s a theory, every new piece of electronics immediately incurs 5 more expenses. New cell phone? Case or two, screen protector, service plan, SIM card, micro SD CARD, perhaps a better data plan, Wi-Fi router at home, car charger, that’s 8! Hi Anne! Yes! Electronics are a huge gateway expense. New phone means a case, car charger, headphones, and of course a screen protector. Thanks for mentioning this one!